Main: The ZBS Radio Hour Goes Steampunk & Sci‐Fi! Join us today at 11am or 7pm Pacific Time (19:00 or 03:00 in the UK) for a brand new series of ZBS adventures — including the first broadcast of the latest Jack Flanders adventure — and it’s Steampunk! In Steam Dreamers of Inverness at the top of the hour… Jack, Mojo and Claudine discover a strange device in the old Victorian mansion of Inverness: a holographic projector that operates on steam. The projector is loaded with glass slides, as they whirl around, a black & white photographic image is projected into the centre of the room. The photo is of a town set in Victorian times. As they watch, different slides slip into the machine: they’re now seeing people, horses, and carriages; the men wear top hats, the women bustles. High above, hovering over the town, is a gigantic zeppelin. With just the slightest intention, or desire, they can be anywhere within the town. They are so intrigued, so captivated, they begin to wonder, “Can this become addictive?” Why was this room sealed away and kept secret? Over time, they can no longer discern whether the photographic images are real, or merely their own daydreams and desires. Within this strange room of swirling steam, shadows & light, they do not wish to wake up from this dream. 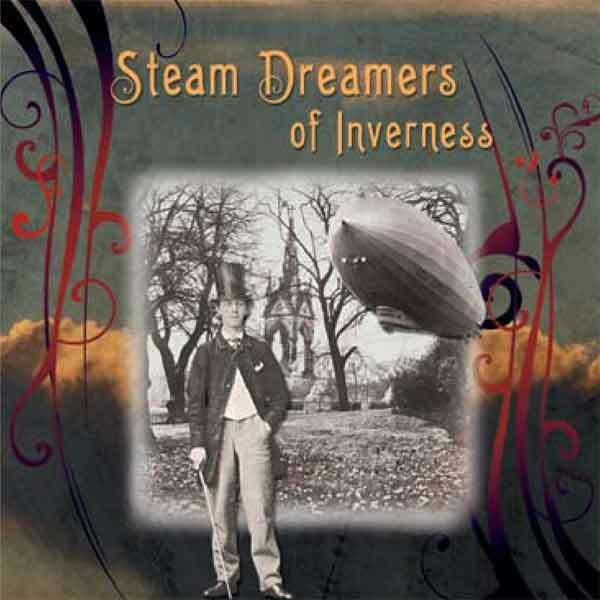 We will be broadcasting all 16 episodes of Steam Dreamers of Inverness, and every so often we’ll spice them up with a special taste of Steampunk humour from ZBS in the form of the strange tale of Lady Windermere’s Brass Fantabulous. 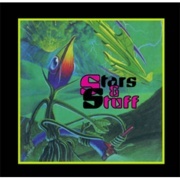 Then on the half hour, it’s the first weird Sci‐Fi tale from Stars And Stuff… and what strange tales they are. With titles like these: The Thing That Ate Aunt Sophie… The Tongue That Licked Tucson… Motorcyclists from Mars… Rocket Pierre and The Peanut People of Pluto… just reading these titles will give you an idea of what’s waiting to pounce on you. After Meatball Fulton had finished writing The Fourth Tower and Moon Over Morocco, he had a lot of ideas left over. Ideas he wasn’t able to fit into ‘Moon’ or ‘4th Tower’. Ideas that were still ping‐ponging inside his head, so he decided to let them bounce out into lots of short scifi/fantasy stories. Some of these are such potent little gems, you may never be able to get them out of your head. What a treat.